I am super excited to have been given the opportunity to attend the Society of British Dental Nurses Annual Symposium this Saturday!!! I am sure a lot of people would think I am a bit strange for choosing to go to a conference in my free time but i am genuinely excited for it. 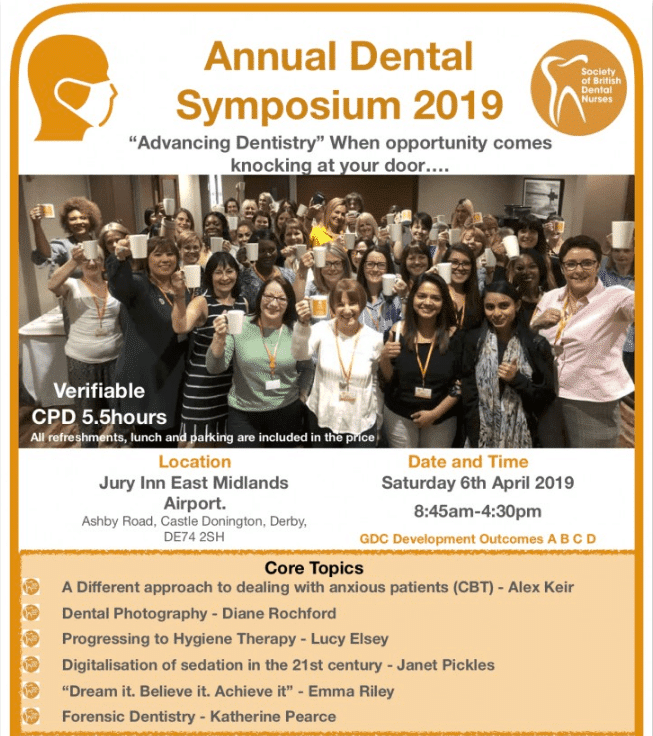 So off to Derby I will go for a day full of learning and networking, with fellow dental nurses and great speakers, some really interesting topics on the schedule for the day including Cognitive Behavioural Therapy which interests me. Tell you all about it next week ! Anyone that walks in to my home, might be mistaken in to thinking they have just walked in to a Disney store!! To say I like Disney is an understatement! 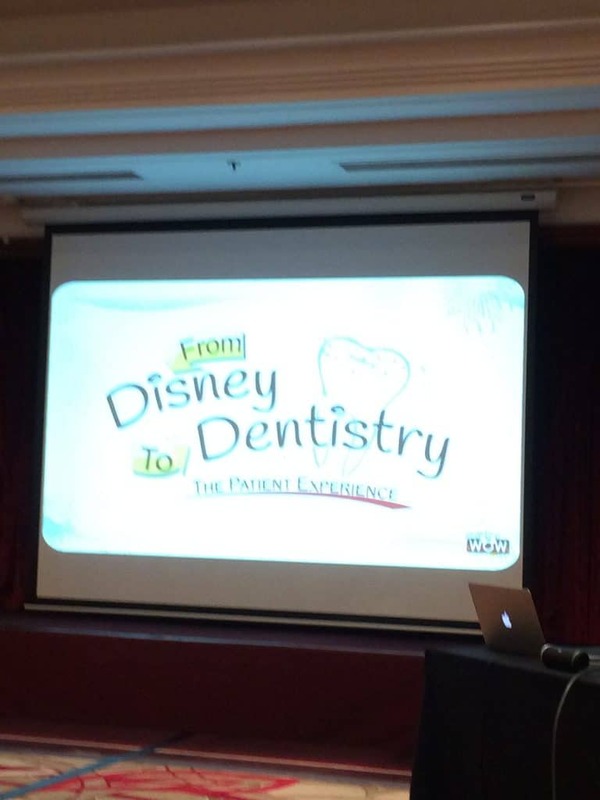 So imagine my excitement to when I hear about a course called “Disney to Dentistry”. So on Saturday I went down to London for this course & it did not disappoint. I found the day very informative and can not wait to share my findings with the team. “I have been self conscious about my smile for many years, always avoiding photographs whenever possible. I had braces as a child for 4 years, but over time, they have moved and crowded together again. 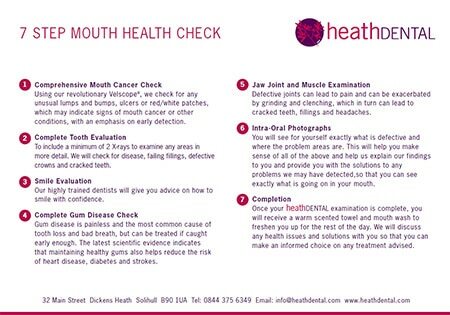 I had a consultation probably about 9 years ago now, and because I am a complex case, I was told I would need to see an orthodontist and probably need an operation to correct a few things. My children were only small at that time, so this was not an option I wanted to take. Now as time has moved on, technologies change, I had another consultation with Sean, who did a digital scan (no yucky impressions) and re assessed my case. It was really nice to be able to see what my teeth will look like after the treatment is complete. That weekend will set me up nicely then to be refreshed and relaxed for a week away that involves hard work but equally a bigger reward back………my 2019 Mavericks trip to Essaouira in Morocco!!! This will be my first time in Essaouira and as ever we will be setting up clinic, providing much needed relief from dental pain for the local community as well as fluoride applications and tooth brushing instruction and products. 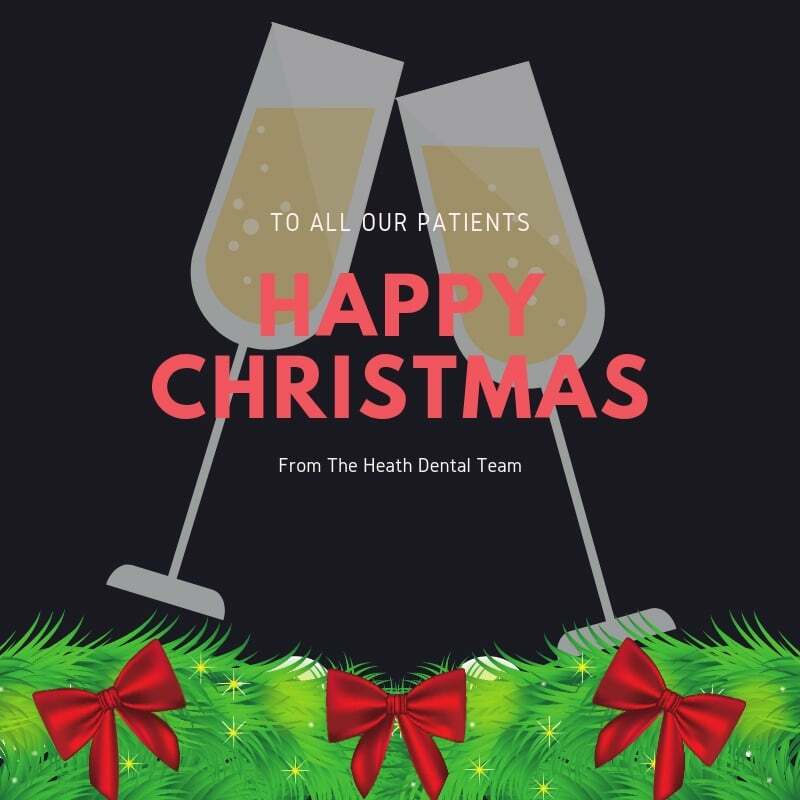 I want to say a huge thank you to everyone who has supported us and helped raise funds for #dentalmavericks In 2018 we raised a whopping £2314.67 at #heathDENTAL this is all thanks to our patients, the team and some of our suppliers so THANK YOU all !!!!!! It’s an amazing total and every penny goes to providing dental care in Morocco and Lebanon. Keep following us on Facebook, Instagram and on our website if you would like to see more of my travels in Essaouira, there will be plenty of pics to come in April. Michelle here. 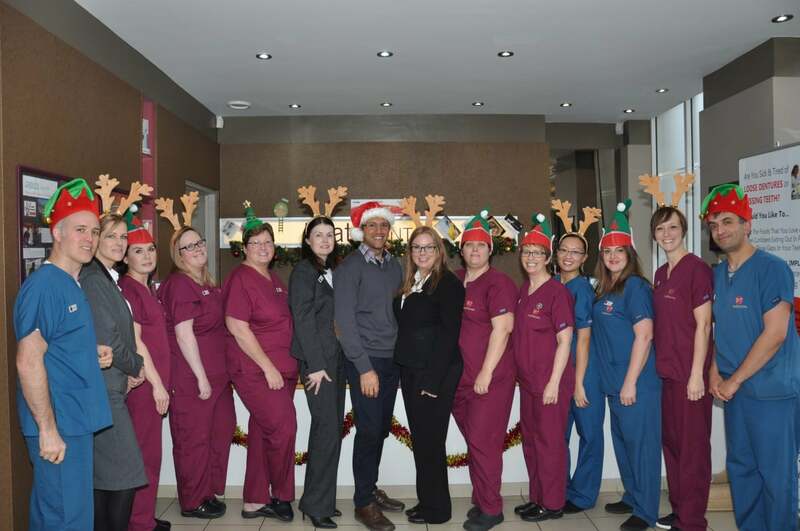 I have totalled up what the practice raised last year for Dental Mavericks and our total was £2,314.67! The money came from Rough Runner, the collection tin we have at reception, Sat’s donation on behalf of his father, and the lovely handmade gifts our patient donated in December. Thanks a lot to everyone who donated. Christmas is a time of celebration, however this year I am celebrating a milestone for myself on Christmas Eve. This day means so much to me, as I am celebrating being cancer free for 5 years. I cannot believe it’s been over 5 years since I was told the worst thing anyone of us wants to hear, and at that time thought I had no future. Going through the cancer treatment has changed me and made me realise, I am a lot stronger than I ever imagined. To be positive about life, however some days this is hard!! To keep me in the right frame of mind, is my daughter Candice and it’s such a joy watching her growing in to a lovely young lady. I have also realised if I can go through this I can do anything. Five years ago I was too scared to have a tattoo, I now have 3!! In the summer I volunteered to hold a tarantula and a snake, and if you know me, you would know this was not an easy thing to do. It’s been fair to say it has been a tough year, following the tragic loss of dad in June. Life has been a whirlwind since then and I can’t believe it has been 6 months already. This has flown by for me, whilst I have been trying to get things sorted. However I know for mum it has dragged. Christmas will be a strange and difficult time but thankfully the children will provide a welcome antidote to the blues. Aren’t children amazing? Their ability to heal and remind us of the simple pleasures of life, the innocence of what used to be special, is so therapeutic. I have been floored by the warmth of friends, colleagues and relatives who have provided invaluable support and comfort so openly and freely. Our own Emma has had her own health challenges this year and we applaud her courage whilst wishing her a full recovery. 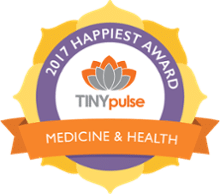 The practice has continued to flourish, thanks to my incredible team and patients. We have now introduced the exciting world of digital dentistry this year to help to continue to provide a gentler and kinder experience for our patients. This provides us with additional techniques to aid us with our goal of providing calm, caring and painfree dentistry. This latest technology and innovation allows us to be far more precise with the work we produce. On some occasions our patients can now see results before they commit to life changing dentistry. This can only be a positive experience for all concerned. Michelle has continued to improve her skill set and after her latest course can now remove sutures. Her search for continued improvement and excellence is an inspiration to us all. We have welcomed Danielle in to the fold, her experience has made our lives a lot easier, so thank you Danielle. Also welcomed Maddy and Lucy to the team. 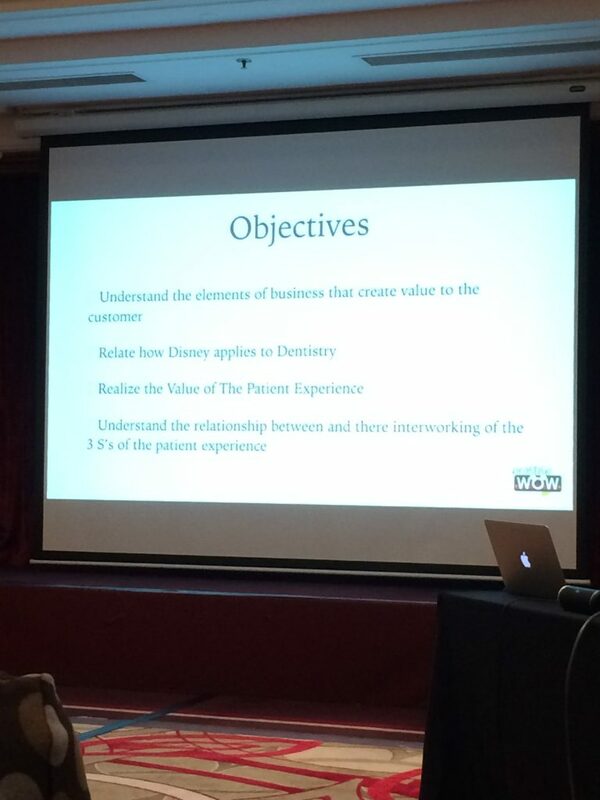 Sean continues to build his straight teeth knowledge and skills and is now teaching the subject and passing on his experience to other dentists nationally. Dawne was recognised with a long service award. Congratulations to Balinder on the safe arrival of her baby girl. 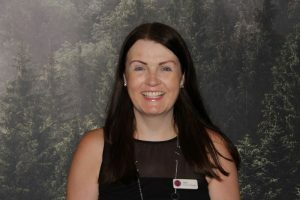 Paula has assumed the concierge role in the practice and will look to develop this further over the coming year. This will be another service we will be offering to our patients, so that their dental journey with us is a smoother one. Back in May some of the team completed Rough Runner and they all survived!! Thank you to our patients for your continued charity support. Finally, I would like to wish you all a Merry Christmas and joyful New Year. 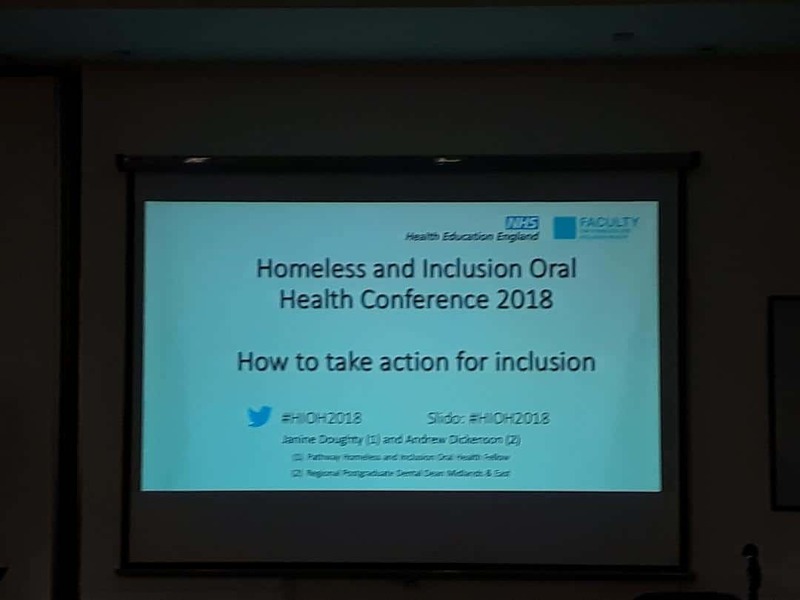 I recently attended the Homeless and Inclusion Conference in Birmingham, my first time at this conference I was excited to find out more about how I could become involved with providing dental care for homeless and excluded people. Well the day certainly didn’t disappoint, it was eye opening, inspiring and motivating. 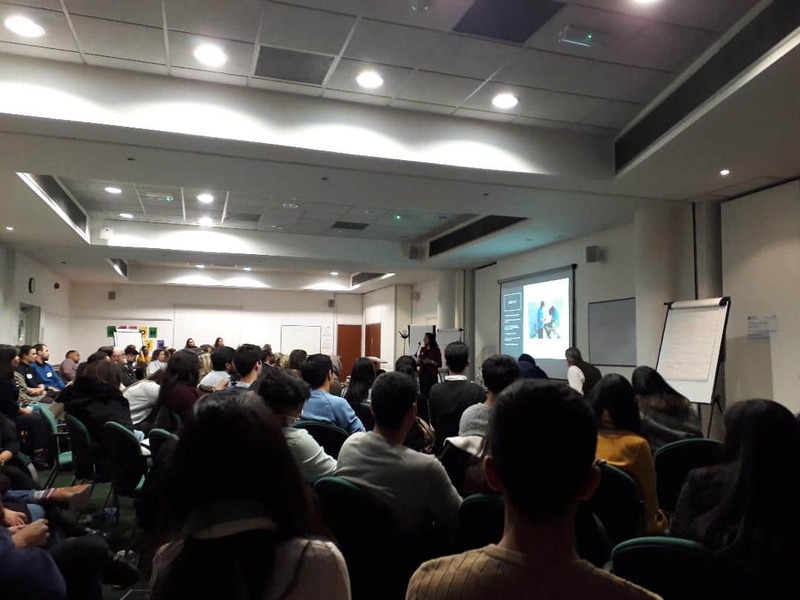 Speakers included dental & homeless charities, various professionals from the dental world and the talks I found the most emotional were those from people who have been homeless themselves. Listening to people’s stories,why they became homeless, their journey, difficulties and prejudices they have faced brought a tear to my eye. One particular speaker was Sarah Harries, she was living on the streets of Leeds, had suffered a lifetime of abuse and had a drug addiction. 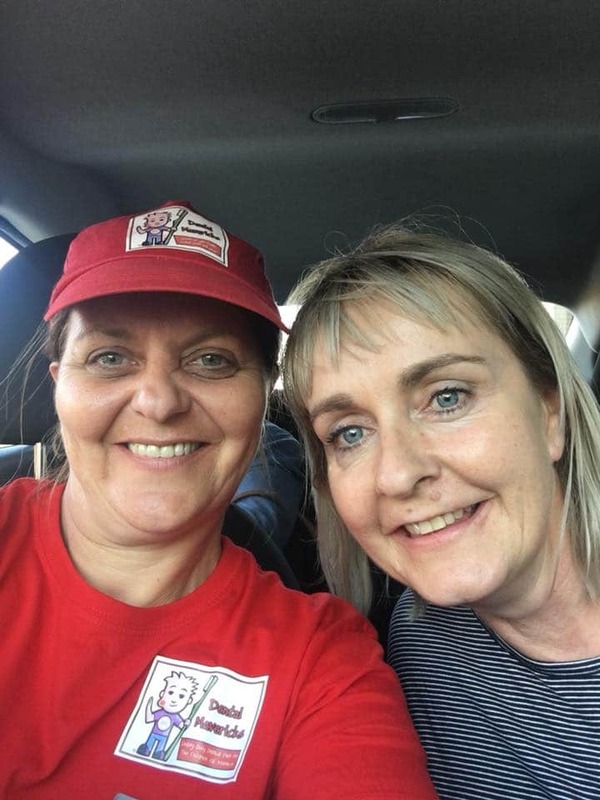 However with the help of others and a lot of hard work herself she is now a Pentecostal Minister, studying a degree and married with a daughter, four years ago she was close to death. A wonderful success story to hear. 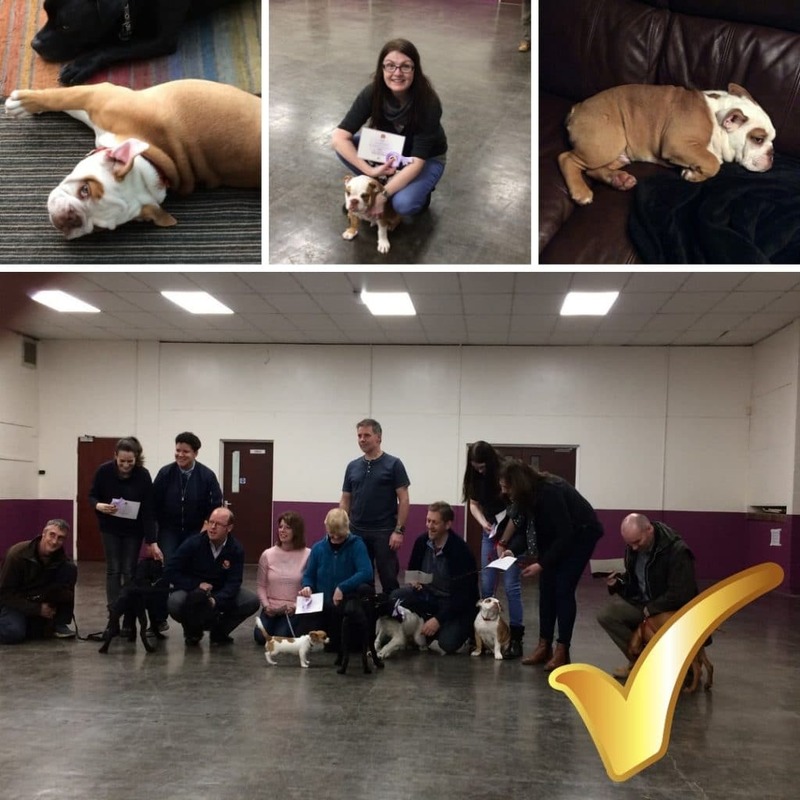 I will definitely be getting involved where I can next year, through Crisis and Dentaid and doing some dental nursing for them. It has also given me a lot to think about in terms of day to day nursing here and what we can do to be aware and considerate of people and possible traumas. 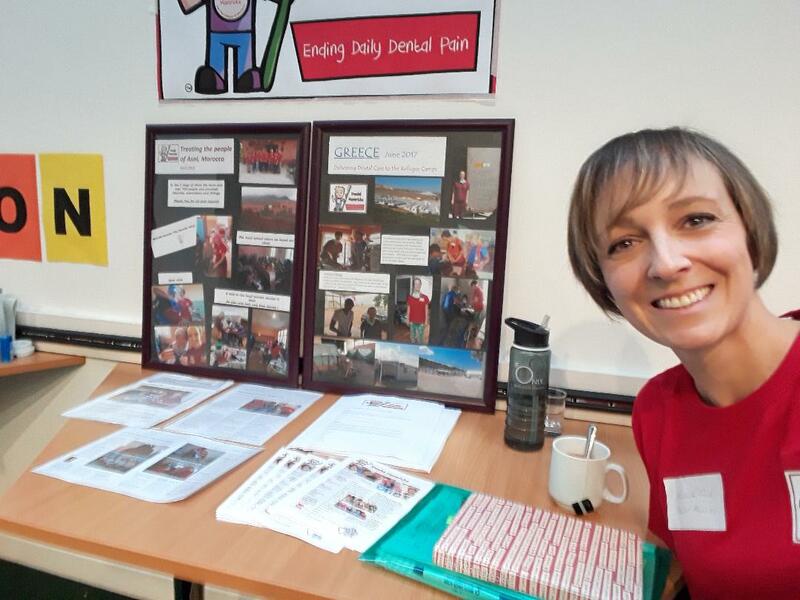 I also wore my other hat on this day and presented a table for Dental Mavericks, to try and spread the word about our work and encourage attendees of the conference to join us for our 2019 trips. Scarily for me I had to present a short talk to the room about the work we do. Not having done any public speaking before I was nervous to say the least( although most would argue I can speak more than needed any other time no problem ha ha) I survived though, no eggs or tomatoes were thrown and hope that I managed to encourage a few of the dentists to consider us next year. Highly Commended for Long Service!! 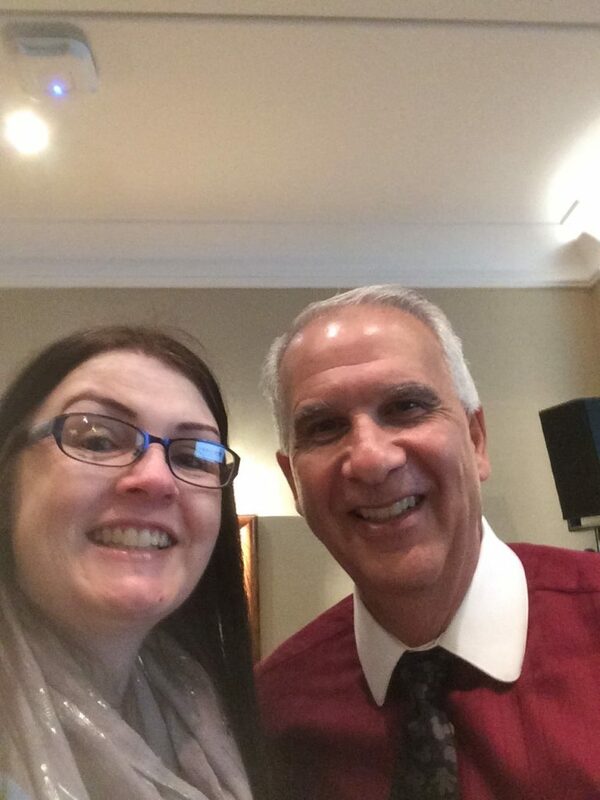 We are so proud that Dawne last week was recognised in the National Dental Nurse Day Awards. 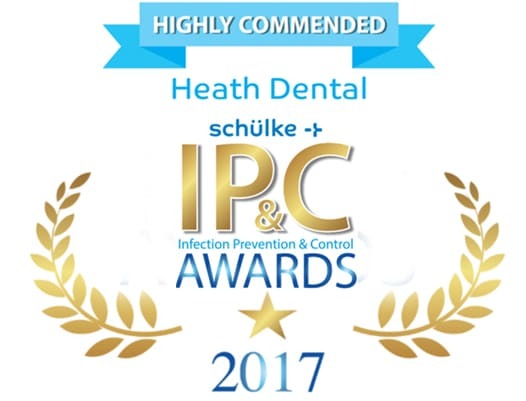 The awards are ran by the Society of British Dental Nurses to recognise the great work and achievements of nurses across the country. Dawne has had a long career, she started nursing in 1977 gaining her qualification the following year. 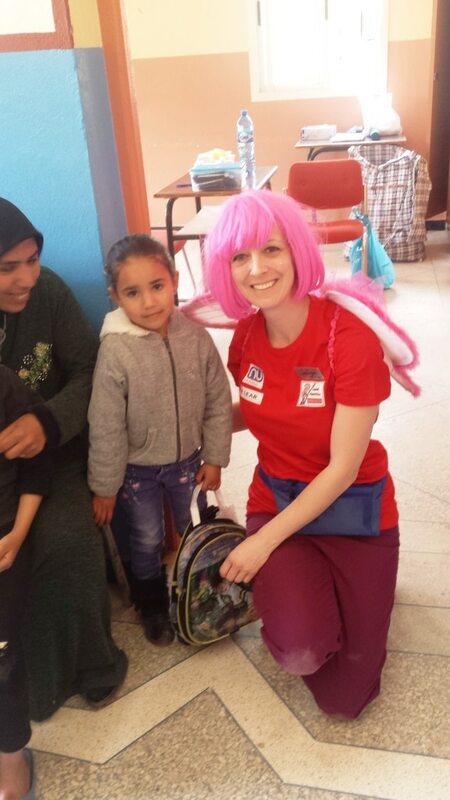 As well as nursing she also works on front desk, nurses for implants, deal with various administrations for us and carries out all our nursery visits to talk to the children about coming to the dentist and caring for their teeth. 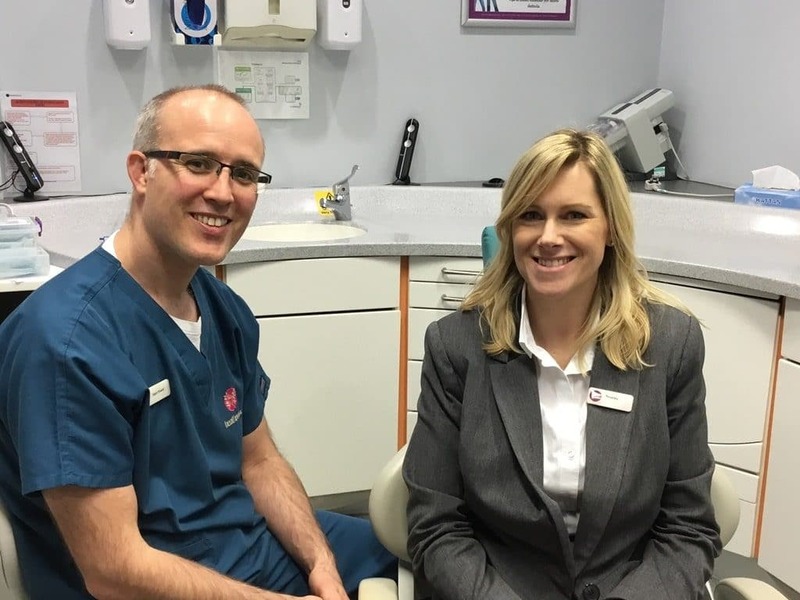 Dawne will have seen a vast amount of changes in dentistry over the years, she is a dedicated member of our team and an integral part of what we do day to day at heathDENTAL. We are lucky to have you Dawne.